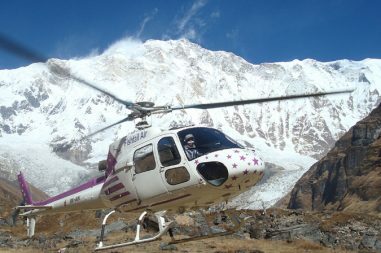 Why Annapurna Base Camp Trek is most popular treks in the world ? 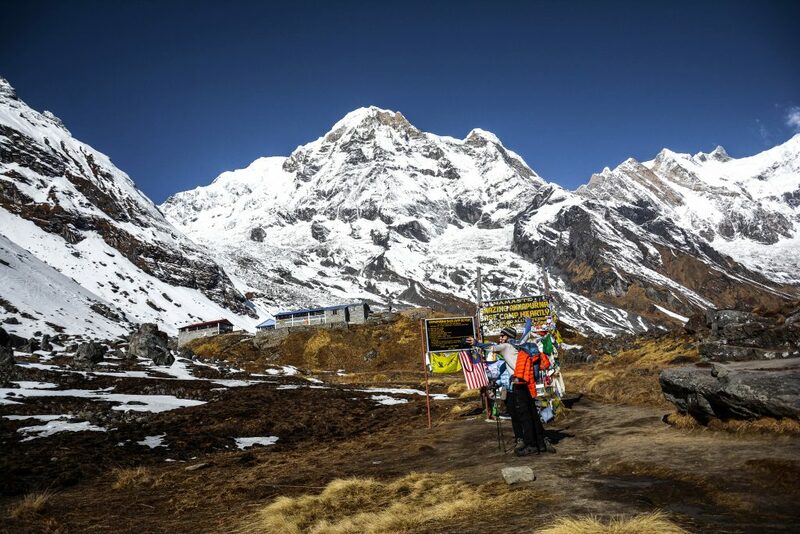 The Annapurna Base Trek Camp (ABC) is one of the most famous treks in the world. It verbatim brings you face to face with an eight thousanders – for a modest – onerous trek, its incredible! The captivating Annapurna sierra includes the world’s tenth highest peak. Annapurna I (8,091 m) holds an almost calamitous allure for mountaineers. It has the highest fatality ratio among the eight thousanders. This dire scent apart, the ABC trek holds several treasures for the mountain lover. 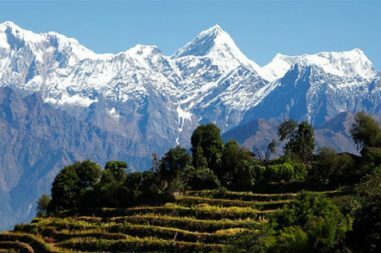 The Annapurna range hones your appetite for mountain views right from Pokhara. This is even before you start the trek. At Ghandruk, you get distinct views of Machhapuchare, Annapurna South and Hiunchuli. Views of different peaks of the Annapurna massif and Machhapuchare stay with you all the way till Sinuwa. The edge of Machhapuchare tantalizes you at Dovan. As you burst out of the forest past Himalaya and Deurali, Machhapuchare emerges before you in its full glory. A trekker takes in the view of the whole Annapurna range on the way to Annapurna Base Camp. Machhapuchare, the ‘fish tailed mountain’, is revered by the Nepalese for its exquisite beauty. It is believed to be one of the homes of Lord Shiva. It has never been officially conquered. In addition to Machhapuchare, you will see Annapurna I, Annapurna South, Gangapurna and Hiunchuli up close. Beautiful sunset over Machhapuchare as seen from Machhapuchare Base Camp. The Annapurna Base Camp is a small chunk of dwelling opposite the Annapurna glacier. As you look up from the tip of the glacier, you come eye to eye with the Annapurna massif. Annapurna I, III and South, Gangapurna, Gandharvachuli and Machhapuchare are all there to meet your gaze when your eyes rest upon them. This is an amazing cultural program organized by Bharal Adventure team. On the last day of the trekking, you will give you the sights of the Nepalese culture. You can enjoy the camaraderie with the trekking crew members upon successful completion of the trekking. Book the diversified and vibrant trekking in Nepal package of Annapurna Base Camp Trek (ABC) which is forwarded by the Bharal Adventure Pvt. Ltd. 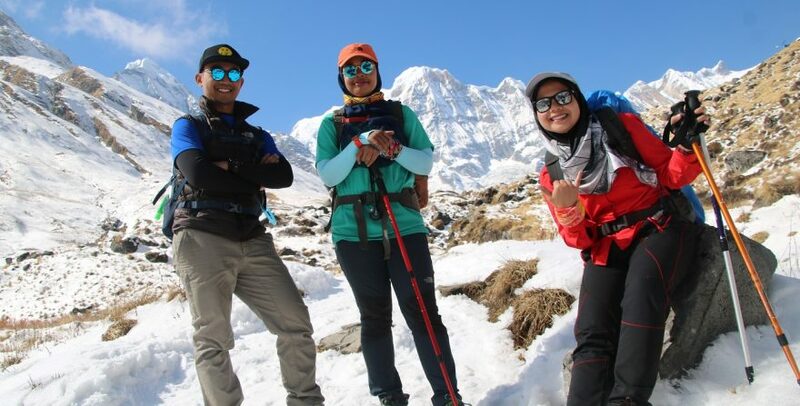 In conclusion, we have the specialized team of the trekking crew for the Annapurna region. We will make your trip worth it as well as an awesome adventurous journey. The weather is stable with the clear blue sky. It is neither too hot nor too cold. Hence, the temperature is just outstanding. The average daily temperature for ABC in this season is 14-15 degrees at day and 5-8 degrees at night. As a result, the views are undisturbed, completely peaceful and clear. As this season will be full of trekkers, it is also safe for solo-trek. Competitive services will be available to feel. Even with some blue sky and sun, it is pretty cold with occasional snowfalls & storms, especially when you reach higher altitudes. December is normally dry, stable, and clear so this month could be a preferable choice. The average daily temperature for ABC in this season is 8-12 degrees at day and less than 2 degrees at night. In this season along with the stunning views, you will find nature & its ecosystem unique and mesmerizing. The blooming rhododendrons, the green hillsides turning into white, pink, and red colors could be observed. Quiet and peaceful route and the cost of food & accommodation would be comparatively less. In March/April, the surrounding is colorfully beautiful. Weather is sunny and warm with outstanding views. Though it will be dry and dusty, but not as many would think. The average daily temperature for ABC at this time is 15-18 degrees at day and 7-8 degrees at night. Though some days may be cloudy as it is pre-monsoon season. Clouds may appear after midday with slight haze and precipitation. Especially, Crystal clear view of unique ecosystem all around. The colorfulness of many blooming flowers in upper hills and trekking paths could be observed. The temperature will be moderate with comparatively fewer trekkers than in autumn. For this trek, there will be one leader, 1 assistant leader (8 trekkers:1 assistant guide) and Sherpa porters for carrying luggage (2 trekkers:1 porter). This arrangement ensures that should anybody in the group is sick, the trip can still go ahead as planned. Our experience has led us to believe that a maximum of 12 people is an optimum number to fully enjoy a trip. However, if a traveler is interested in larger groups then that can be arranged too. After a quick breakfast, we will take a 42km drive to Naya Pul via Lumle village from where a walk of about 20 minutes will proceed up to Birethanti. From here, the trail traversing through bamboo forests, large waterfall and swimming hole takes us to Ramghai where lunch will be served. After the relaxing lunch, a gradual climb along the trail up on the side of the valley is followed which takes us to Tikhe Dhunga. Crossing a stream on a suspension bridge near the camp site, we walk from Tikhe Dhunga ascending a steep stone staircase of about 3300 steps to a large Magar village of Ulleri at 2,080m. Above the village, the trail climbs gently through pastures and cultivated fields taking us to a camp site for rest and water stop after an hour’s walk. The trail crosses two sparkling streams before making a short final climb to Nangethati where we will be stopping for lunch. Thanti is a Nepali word for “rest house”. From here, we will climb to Ghorepani at 2,850m where we will be welcomed by the picturesque sight of Dhaulagiri (8,167m), Tukuche Nilgiri (6,940m), Annapurna I (8,091m), Hiunchuli (6,441m) and Tarke Kang (7,193m). 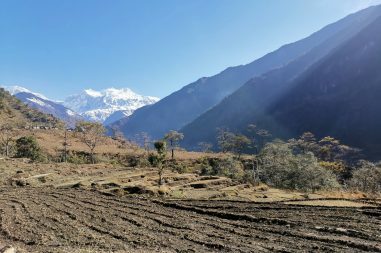 We will hike to Poonhill early in the morning to catch the captivating view of sunrise radiant over the Annapurna Himalayan Range. After enjoying the sunrise, we will descend to Ghorepani for a hot breakfast before carrying on our trek to Tadapani. A steep downhill descent through the forests takes us to Gurung, a Gurung village named after the ethnic group living there. The trail from here takes us to Chhomrong where we will stay for the night at the finest guesthouse in the place. The climb through Bamboo marks the beginning of the day at Dovan from where we surpass Himalayan Hotel as we advance towards Hinko at 3,020m. The accommodation for the night will be made available at Deurali on the ridge above Hinko. From here, we will be retracing our trail of the day before as we descend down to Bamboo. The trail drops by 1,700m to the bank of Modi Khola on the way to Bamboo where few teahouses and lodges are available for overnight stay. 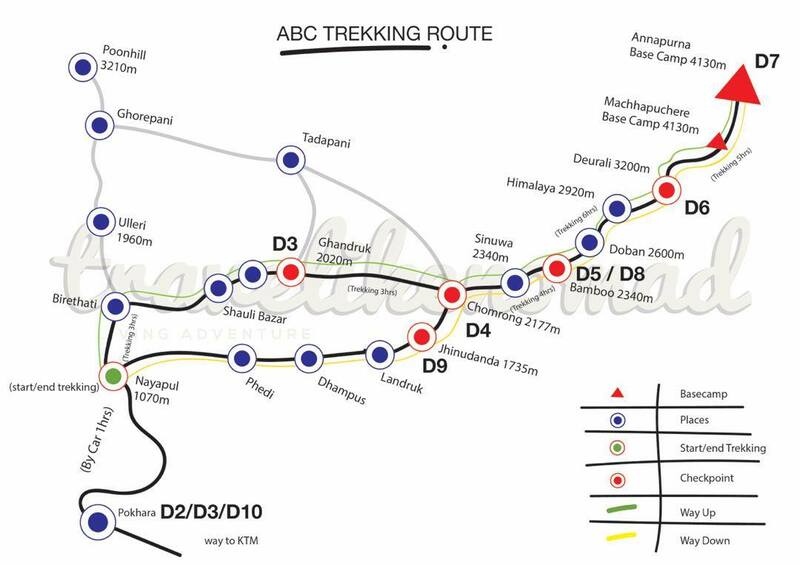 Today we will be descending down to Chommrong following the same trail that we took to ascend to ABC. As we pass Khuldighar, we will move towards experimental sheep farm tracing the trail through rhododendron and bamboo forests that descends to Jhinu hot spring where we will relieve all the stress and exhaustion of the journey. The bath at natural hot spring in Jhinu is the best way to beat the anxiety of the expedition.